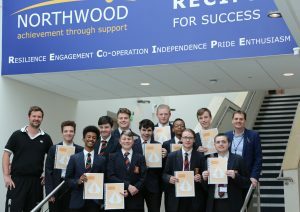 Diamond Education Service was asked to mentor a group of year 11 boys at Northwood School in Hillingdon as part of a development programme aimed at keeping the boys on track, motivated and with the aim of helping them reach their full potential at a crucial period in their GCSE preparation. The programme was held over a period of 15 weeks and the boys were involved in both group and individual sessions with their mentor. Support was given on a number of identified areas such as study skills, anger management, meeting deadlines, and managing difficult situations. The boys responded extremely well to the attention! Staff at the school were very pleased with the improvement in the boys’ attitude to learning over the mentoring period. 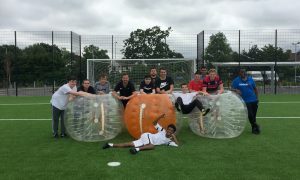 The boys were rewarded at the end of the mentoring programme with a game of bubble football on the astro turf pitch at school (see photo), followed by pizza and brownies.